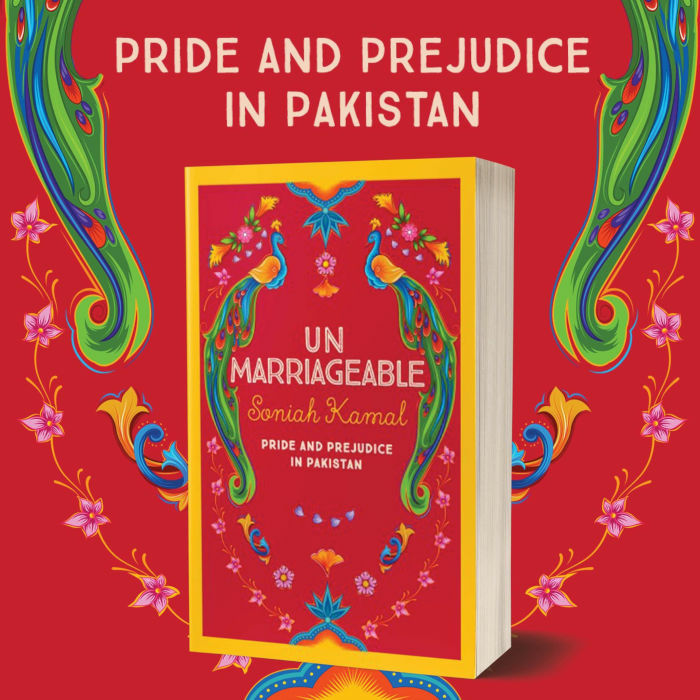 Unmarriageable by Soniah Kamal is out now from Jonathan Ball Publishers! Alys Binat has sworn never to marry – until an encounter with one Mr Darsee at a wedding makes her reconsider. It is a truth universally acknowledged that when a family’s fortune is destroyed by scandal and rumour, they must look to their daughters to marry well. Alys Binat, however, loves life as it is: teaching English literature and encouraging her female students to aspire to more than society expects of them. She is resolute: she will not marry. However, her mother thinks differently and when the family receive an invite to a big wedding Mrs Binat immediately coaches her daughters to snag rich, eligible bachelors. There, Alys’s eldest sister, Jena, catches the eye of Fahad ‘Bungles’ Bingla, a successful entrepreneur, but Alys is irked when she overhears Bungles’s friend Valentine Darsee’s snobbish assessment of her. As the festivities unfold, the Binats hold their breath, waiting to see if Bungles will propose. And Alys realises that Darsee’s apparent rudeness and contempt may conceal a different man from the one she first judged him to be. An essential guide to marriage, class and sisterhood in modern-day Pakistan. Soniah Kamal is an award-winning writer whose debut novel, An Isolated Incident, was a finalist for the Townsend Prize for Fiction and the KLF French Fiction Prize. Her work has appeared in many publications including the New York Times, The Guardian and Buzzfeed. She was born in Pakistan, grew up in England and Saudi Arabia and currently resides in the United States.